Hays Street Bridge Downtown San Antonio Texas. 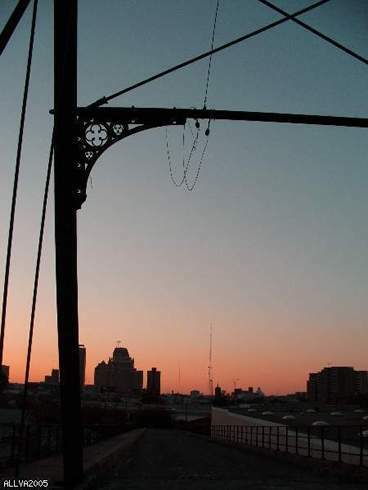 The 1881/1910 Hays Street Bridge is a viaduct consisting of two wrought iron truss spans (one Phoenix Whipple 225-ft span, and one Pratt 130-ft span), and approximately 1000-linear feet of concrete approaches. In 1910, the City of San Antonio required the Galveston, Harrisburg & San Antonio Railway Co. (eventually part of Southern Pacific) to construct a viaduct over the railroad tracks at Hays Street. The railway company relocated the two truss spans from elsewhere on its lines. 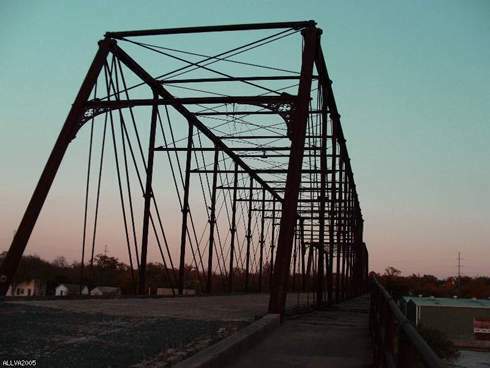 Records of the Phoenix Bridge Company archived at the Hagley Library in Wilmington, Delaware show that the Whipple truss dates from 1881 and was reconstructed from one or more salvaged spans over the Nueces River west of San Antonio. 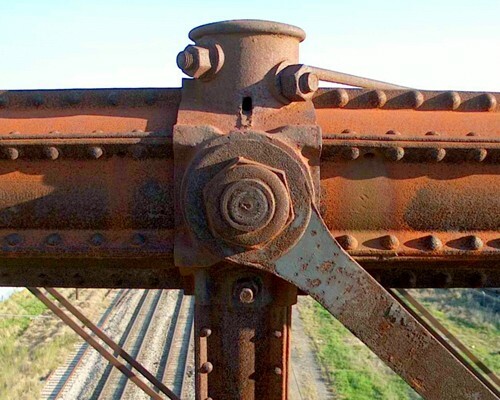 These records include entries in the company’s customer index as well as copies of the 1910 repair shop drawings showing replacement joint blocks, bearing seats, and lateral bracing struts. The Whipple truss span is a Phoenix patent design using the now rare Phoenix segmental wrought iron columns with cast-iron joint blocks. The Pratt span has Phoenix-branded components, including the floor beams. Both spans were widened from about 16-feet to the current 25-feet. 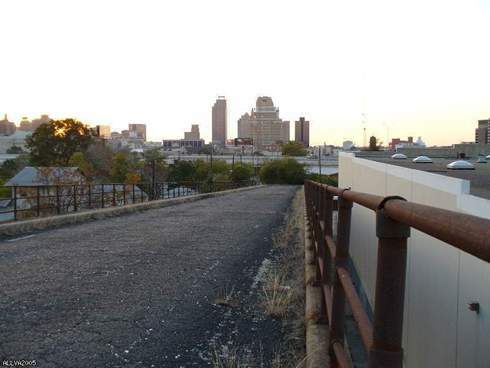 The bridge is planned for rehabilitation as a bicycle and pedestrian facility by the City of San Antonio, using a Transportation Enhancement grant from the Texas Department of Transportation. Sparks Engineering, Inc. is the design consultant for the project. Plans and specifications were completed in November 2006 and the project is scheduled to begin construction in the fall of 2008.